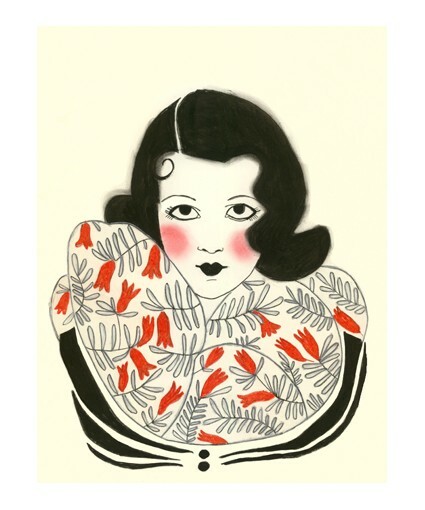 One of my many favorite Etsy shops is Matou En Peluche, illustrations of fashion, and cats, and birds, and other lovely things. 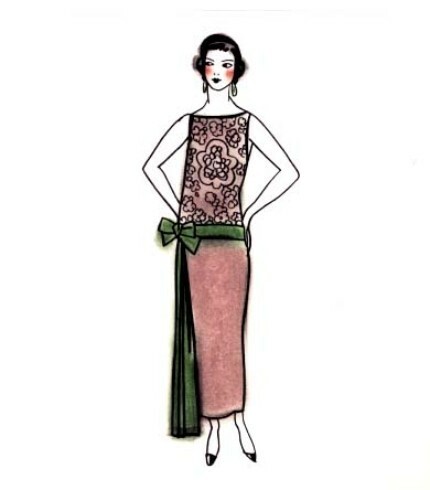 I think they’re elegant and often portray a good amount of fashion detail in their spare and elegant lines. I have a few of these prints in my sewing room as inspiration and decoration.